Heavy-duty Big Blue Double 20"x5" Whole House Water Filter by Crystal Quest is a 7 stage filter system guaranteed to deliver healthy, better-tasting water for your family. Filtration process is distributed into 2 20" x 5" "Big Blue" cartridges specifically designed for high flow applications. 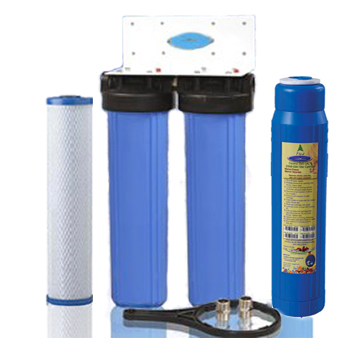 The CQE-WH-01108 system is equipped with a Standard Multi-Stage(6-stage) filter and Solid Carbon filter cartridges. 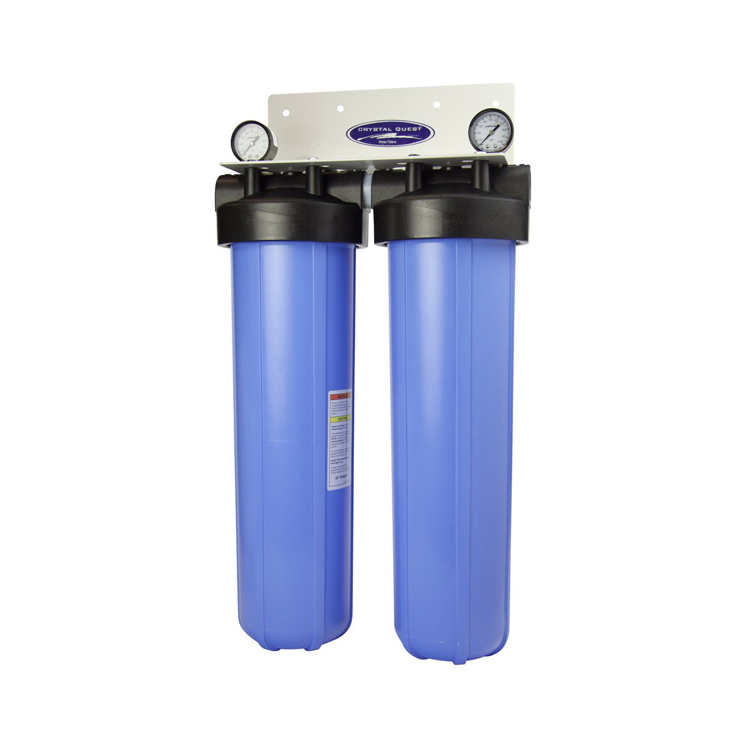 The Big Blue cartridges are designed for high-flow water filtration applications. Tough and dependable, these unique, wide cartridges are capable of filtering enough water for a large house, apartment or busy office. 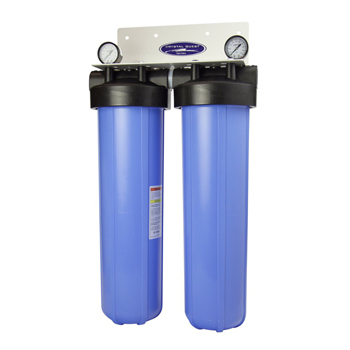 Dual 20" cartridge filter system. - These Systems will stand up to 80 pounds per square inch (psi) water pressure. We recommend installing a pressure reducing valve before the System. This will reduce the water pressure flow to the system and will prevent pressure build-up on the system when not in use.